Here is today's weekly deal in our online store! Remember, this will change every Tuesday. 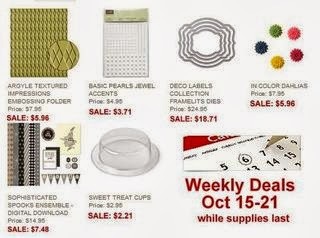 Please note that weekly deals will be offered while supplies last! This is a great time to stock up on some basics, like pearls and in color dahlias, or to purchase framelits that may be on your wish list! The discount will appear in your shopping bag when you check out. The hostess code from October 15-31 is XH3NMMPU. Be sure to enter it when you place your order and you will be eligible to win free products or hostess sets. 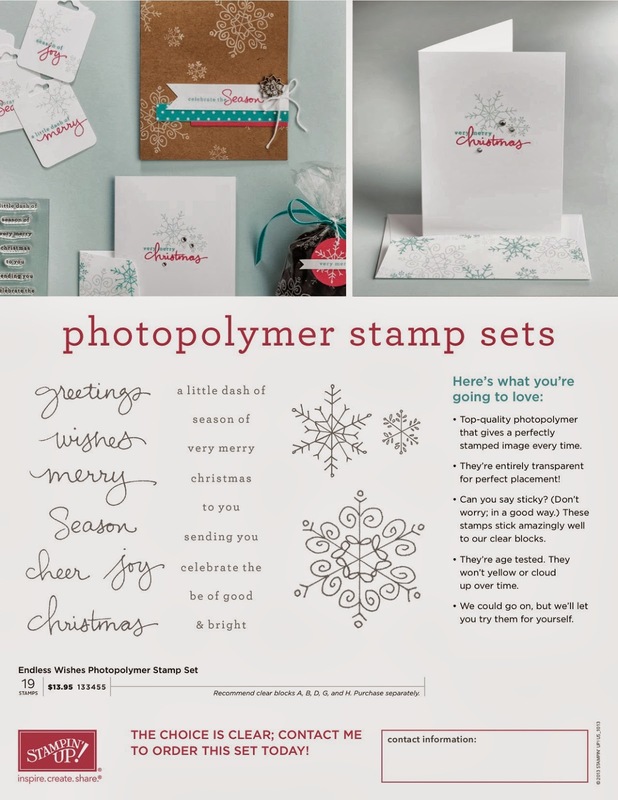 Lastly, here is the latest of our photo polymer stamp sets, Endless Wishes. 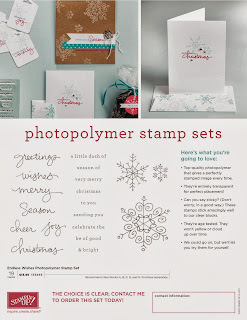 Have you tried these clear stamps yet? I just love them! It is so easy to get your greetings perfectly placed since you can see through the stamps. And this set is full of warm greetings for Christmas!